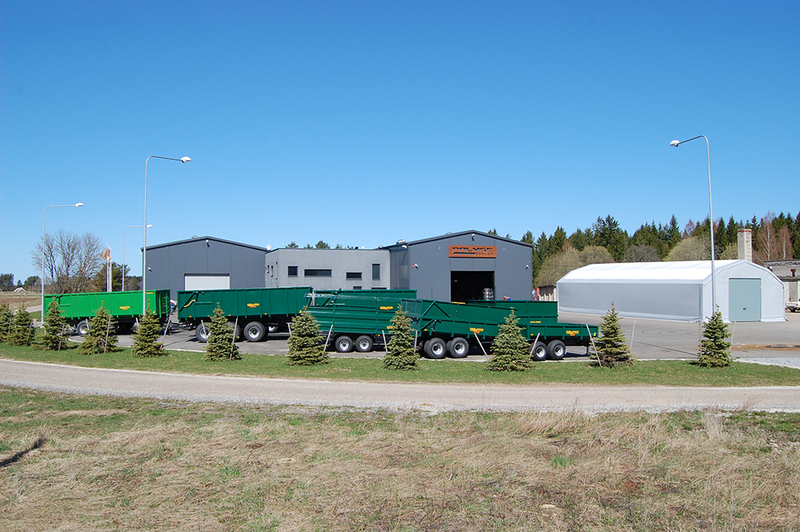 Palmse Metall OÜ is a manufacturing enterprise which operates based on Estonian capital and which is the owner of the “Palmse Trailer” trademark. Palmse Metall OÜ started producing trailers in 2005 in Lääne-Viru County. The Palmse Metall OÜ production plant is located in Palmse, in Haljala Parish. The total surface area of the production complex is 7000 m2. The modernisation of the production technology began in 2007, during the course of which the production building was renovated and an office with non-work rooms was built. The production rooms are divided according to the activities that take place within them and in a logical working order. At the end of 2008, the shot blasting and painting room was completed, allowing us to provide a significantly better product quality than in the early years.